Sentul International Convention Center, didirikan di atas lahan seluas 6,4 hektare dengan luas bangunan 22.000 meter persegi. kamar SICC dapat menampung 11.000 orang di Hall Utama (ruang utama), dan 2.000 di kamar lain aula, lebih besar dari Jakarta Convention Center, Senayan. Bangunannya ini merupakan bangunan multifungsi yang juga bisa menjadi spesialis untuk acara akustik. 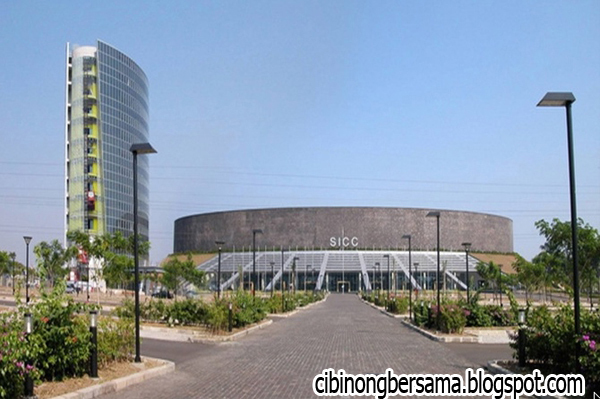 Sentul International Convention Center or the SICC is a commercial conference hall in a residential area in Sentul City, Bogor, West Java, right on the highway side jagorawi. The house is owned by the Foundation of Love for the Nation. At first the building was known as Bukit Sentul International Convention Center (BSCC), then turn into Sentul City Convention Center (SCCC) along with a name change PT Bukit Sentul Tbk to PT Sentul City Tbk. 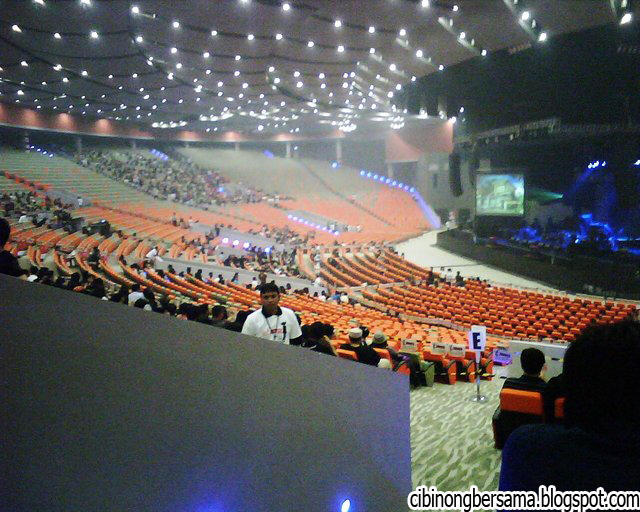 Name Sentul International Convention Center (SICC) has been used since May 2009. Sentul International Convention Center, built on an area of ​​6.4 hectares with a building area of ​​22,000 square meters. SICC room can accommodate 11,000 people in the Main Hall (main hall), and 2,000 in other rooms hall, larger than the Jakarta Convention Center, Senayan. This building is a multifunctional building that can also become a specialist for acoustic event. Sentul International Convention Center Tower (Tower SICC) was inaugurated on March 15, 2010 by the Rev. Dr. Ir Niko Njotorahardjo, attended by the servants of God from within and abroad, together with the Global Conference event Care Indonesia 2010. In 2011 and 2012, several famous singers have performed in the SICC, such as Justin Bieber and Katy Perry.